The four, along with Serbia and Kazakhstan, have their qualifying rounds of the first phase of Davis. Brazil wins 1-0 to Belgium and another five are tied. The teams of Serbia, Australia, Italy, Germany, Russia and Kazakhstan started their respective qualifying rounds of the qualifying round for the Davis Cup finals, which are played in Madrid in November, when they won the first two games against Uzbekistan, Bosnia, India, Switzerland and Portugal. Dusan Lajovic and Filip Krajinovic put Serbia 2-2 ahead of Uzbekistan by winning Sanjar Fayziev and Denis Istomin in two laps on the hard court of the Tashkent Sport Servis Sport Complex in Tashkent. Lajovic, number 39 of the world and first racket of the Serbian team this weekend, won by 7-6 (4) and 6-3 to Fayziev, 424 of the ATP, in one hour and 31 minutes to add the first point of the series. After Krajinovic won more easily, by 6-2 and 6-4 to a blurred Istomin in just over an hour, and managed the 0-2 for the team of Nenad Zimonjic. Australia, 28 times champion of the Davis Cup and now with Lleyton Hewitt as captain, he also has his series on track against Bosnia and Herzegovina thanks to the victories in the Memorial Drive of Adelaide, on hard court, of John Millman and Alex de Miñaur before a disappointing Damir Dzumhur (6 -3 and 6-2) and Mirza Basic (6-3 and 7-6 (0)). The Italy of Corrado Barazzutti became strong the first day on the grass of Calcutta with two resounding victories in two races by Andreas Seppi and Matteo Berrettini against Ramkumar Ramanathan (6-4 and 6-2) and Prajnesh G unneswaran (6-4 and 6-3). Berrettini, who debuted with the Italian team, took less than an hour to liquidate the Indian number one, Gunneswaran, and received praise from Barazzutti, who stressed that he played "like a veteran" . 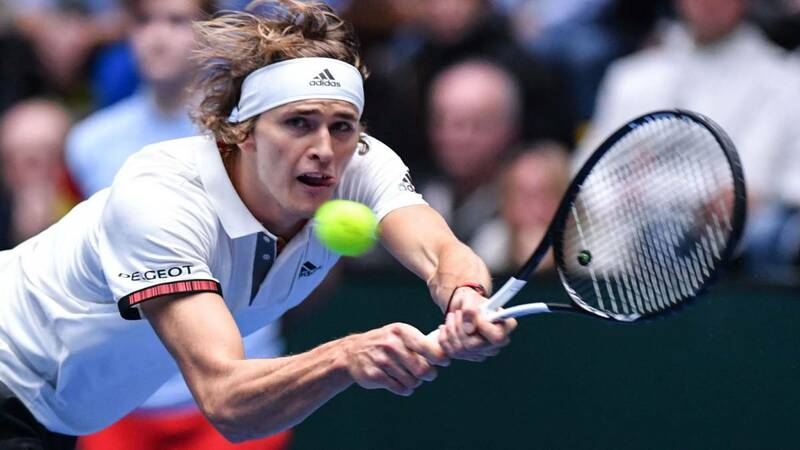 Germany also domina 2-0 after the first day, in his case against Hungary, reduced by the loss of his number one, Marton Fucsovics, in the Fraport Arena of Frankfurt and thanks to the expected victories of the veteran Philipp Kohlschreiber, who had to overcome, and Alexander Zverev against Zsombor Piros ( 6-7 (6), 7-5 and 6-4) and Peter Nagy, number 819 of the world rankings (6-2 and 6-2) . Daniil Medvedev and Karen Khachanov advanced 0-2 to Russia over Switzerland in Biel by overcoming Henri Laaksonen and Marc-Andrea Huesler. Medvedev, 22 years old and just reached number 16 in the world, gave the first point to Russia, but suffered to break in three sets to Laaksonen by 7-6 (8), 6-7 (6) and 6-2 and two and a half hours of fighting on the hard court at the Swiss Tennis Arena. Khachanov struggled to beat Marc-Andrea Huesler, 6-3, 7-5, and put the 0-2 on the electronic after the first day of hostilities. The Kazakh team is also close to sealing their ticket to Madrid by winning the first two matches in Astana against the two Sousa, Joao and Pedro, surpassed by Alexander Bublik and Mikhail Kukushkin. In the opening singles match, the surprise gave Bublik, 171 in the world ranking and won with a comeback to the first Portuguese racket, Joao Sousa (39), 6-7 (1), 6-4 and 6-4 in two hours and 22 minutes. Keeply the number one Kazakh, Mikhail Kukushkin, needed only 68 minutes to beat Pedro Sousa by 6-2 and 6-0. The qualifiers Czech Republic-Holland, Austria-Chile, Slovakia-Canada and China-Japan march 1-1 after the first day. In addition, Brasil wins 1-0 to Belgium in Uberlandia and on land thanks to the triumph of Thiago Monteiro against Arthur de Greef by 6-3 and 6-1. Next, play Rogerio Dutra Silva-Kimmer Coppejans. The closing eliminator is played in Bogotá Colombia and Sweden, which starts at 22.00 CET (21.00 GMT) .